What do Tom Cruise, Chow Yun-fat and Queen Elizabeth II have in common? 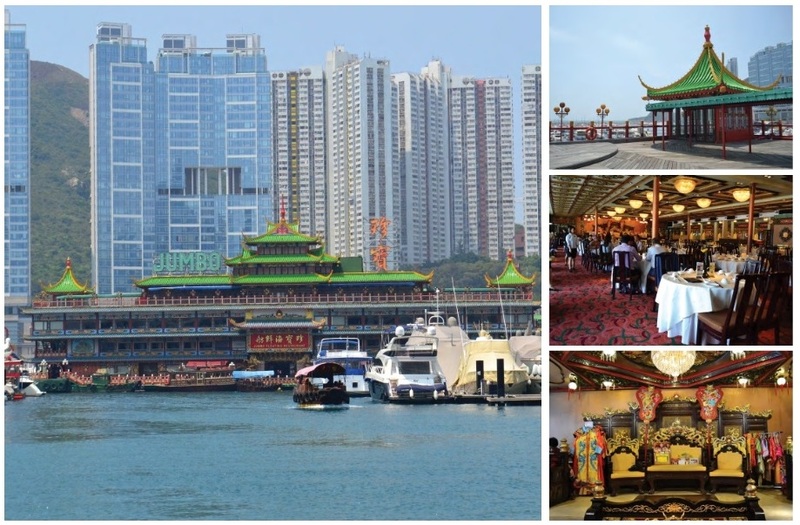 They have all visited Jumbo Kingdom, Aberdeen's iconic floating restaurant. A popular spot on most tourist itineraries and reached only by boat, Jumbo Kingdom has recently had a multi-million-dollar makeover and is a feast for the eyes as well as the tummy. Its decor takes inspiration from Chinese imperial palaces, with visitors welcomed by golden dragons and staff in traditional costume. Tables are arranged over three floors, with the ground floor housing fine-dining dim sum fusion restaurant Dragon Court and a larger banquet restaurant on the top two floors. The roof - which once housed Top Deck, a popular alfresco brunch spot that closed in 2003 - has also been renovated and will soon be available for private functions. The food is mainly Cantonese with plenty of seafood, which seems appropriate given the fishing harbour location. A signature dish is flamed drunken shrimp, with shrimps flambeed in Chinese rose wine at the table. The brainchild of tycoon Stanley Ho, the Jumbo had a baptism of fire. In October 1971, a few days before its grand opening, the finishing touches were being applied to what was to be Hong Kong's largest floating restaurant when sparks from a welder landed on some highly flammable trimming and set it alight. Within minutes, the boat was aflame. With no firefighting equipment on board, the fire engulfed the Jumbo restaurant and 34 people died. The burned-out hull sat in Aberdeen Harbour for months until a four-year rescue operation began to completely reconstruct it in even grander style. The revamped Jumbo finally opened to the public in 1976.